What do we think about Apple’s new phones so far? And we take your comments and questions. We’ve had the new iPhone XS and iPhone XS Max for a few days. We’ll talk about our experiences with the new phones. 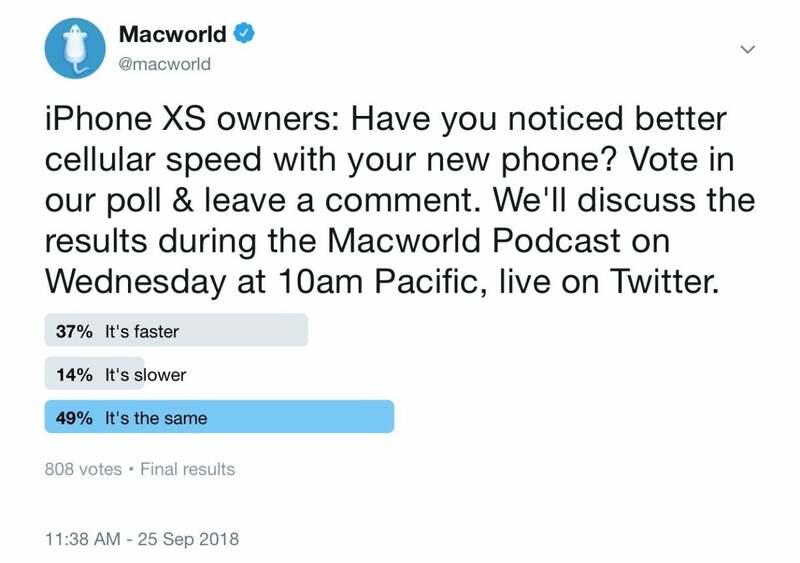 We also respond to your comments and questions for Leif Johnson, Roman Loyola, Adam Patrick Murray, and Michael Simon in the Macworld Podcast, episode 623.
iPhone XS owners: Have you noticed better cellular speed with your new phone? Here are the results of our Twitter poll.